Running successful digital marketing campaigns for higher education recruitment requires reaching prospective students efficiently as well as understanding the recruitment cycle and its outside influences. These factors vary significantly between undergraduate and graduate level programs. Digital marketing for higher education can have a substantial impact on both types of recruitment efforts, but each campaign requires different ways of thinking, planning, and executing. A prospective graduate student likely has much different motivations than a prospective undergraduate student – and different life circumstances, too. Understanding these differences is key in building an effective campaign. In the undergraduate space, traditional high school students often aren’t sure of their major when applying to a school, and many of them ARE intending to earn a degree on campus. What’s most important to these potential undergraduate students is understanding what it’s like to attend your school – the buildings, people, classmates, and educators. Quality of programs and degree offerings are important, but student life and culture is equally important, if not more so to this type of student. Clear communications about what an undergraduate experience is like at your school, along with the benefits of attending, play a huge role in their decision process. That said, there are always exceptions to the norm, and some high school students will know precisely what they want to study in an undergraduate program. Your digital marketing campaigns will need to find a balance between communicating culture and experience with program promotion to reach the entire spectrum of prospective students. For graduate students, most already know exactly what kind of program they want to pursue. There may be some flexibility in their final choice, but these prospects have narrowed it down to a few similar programs or fields of study. This makes degree-specific digital marketing campaigns the right choice for graduate recruitment efforts. Another critical difference between undergraduate and graduate student recruitment is the recruitment cycle. 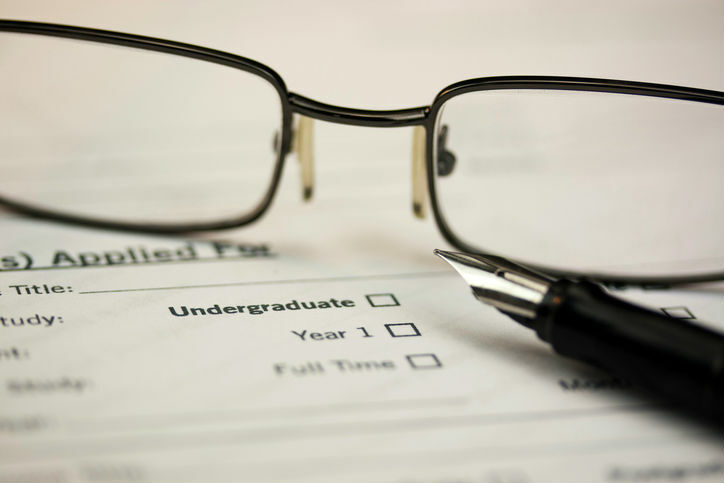 Typically, undergraduate recruitment is done on an annual cycle with a fall class start date. Marketing for undergraduate recruitment should address the strong seasonality of this cycle. Think about the average college-bound graduating high school senior; they are looking to attend college in the fall immediately after graduation. The phases within the undergraduate recruitment cycle include initial research and information gathering, campus visits or information sessions, the application period, the deadline and acceptance period, yield period and the melt rate that typically occurs over the summer before the fall semester begins. Throughout each phase of the undergraduate cycle, digital marketing can boost recruitment efforts. Syncing online and off-line marketing can also help to improve the efficacy of the campaigns. On the flip side, many graduate-level programs have start dates throughout the year, which causes the recruitment cycle to vary. A graduate student prospect may not enroll in the next available program, but could choose to enroll in a successive start date. The median length of time it takes a prospective graduate student to actually file a completed application varies by program but can be 300 days or longer in some cases. Graduate recruitment marketing needs to be customized in order to consider the number of start dates per year as well as online vs. on-campus programs. Another major distinction between traditional undergraduate and graduate level prospects is the key influencers in their life that are helping them make their final decision – notably parents and guidance counselors. These two influencer groups should be considered when planning targeting, messaging, and content for an undergraduate digital marketing recruitment campaign. Parents, in most cases, are as important as the students themselves when it comes to undergraduate decision making. They tend to be more focused on the outcomes and success rates of a school, such as the percentage of entrants that graduate with a degree in four years, and what the job placement rate is for their child’s chosen field. Guidance counselors are also focusing on outcomes and success rates. Graduate student influencers, on the other hand, tend to be different. Graduate students are more often looking at the reputation of your institution and program, and how it will be viewed by potential employers. If they are already employed, the employer may be contributing to their tuition, and could also influence their decision about which school to attend. This focus on how your program is perceived by current and future employers can be used to tailor messaging and content for your graduate digital marketing campaigns. Digital marketing is a powerful tool for recruiting both undergraduate and graduate students, but it has to be considered and executed properly. In order to be effective, it’s important to understand the entire marketing landscape – both online and offline – and create synergistic campaigns that are optimized for efficiency and targeted strategically. Not only does this strengthen overall communication to prospective students, but it also ensures that you are getting the best return on investment (ROI) on your marketing budget.